The future. Who’s buying copy, and who’s hiring staff? What’s the future of freelancing? Globalisation, the developing world, terrorism. Contacts and snouts. Writing news and news features. Key issues in investigative journalism. Crime. Politics. Environmentalism. Getting the angle. Topics that sell, and those that don’t. Who is hiring and buying? Fire and flood, How to break local stories. The angle. Finding sources. Getting their first. Being in the know. Jobs in local media. 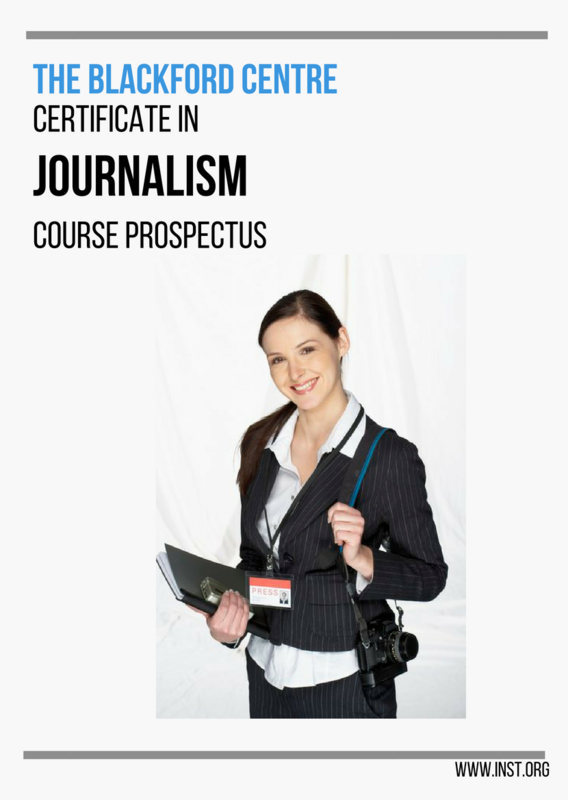 Getting a job in newspapers and magazines, TV or radio. How to get a job in sports journalism. Online Journalism. Reporting that is produced and distributed via the internet. Food, fashion and features. Getting a job in women’s magazines. Earning a living as a freelance journalist. Where to submit your work. Keeping records. How to sell your work. Fees and expenses. How to get the answers you want. Finding people. Getting their agreement. Recording methods. Transcription. Shorthand. How to write: Content, style, writers block, working to a schedule. Techniques. Angles. Perspectives. Understanding the needs of the reader. Openers. Writing to a fixed length. How to close. Links and contacts. How the Law affects your work. Data Protection. Freedom of information. Reporting on Race or religion.